A must-have, just like the ski helmet and ski jacket: perfect googles for a permanently great sight in snowy conditions. Not only do they provide you with practical functionalities but they definitely look great as well. 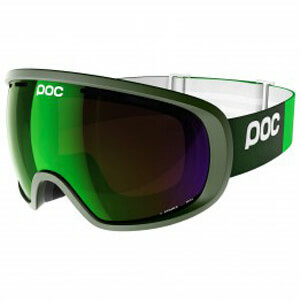 Every ski goggle is an awesome accessory and is extremely usefully with its mirrored lenses. What needs to be taken into consideration when buying a ski goggle and which types of goggles are there - find all these information in the following section. Its foam cushion around the eyes prevents the light from entering the goggles. After some time, the bright light that is reflected from the snow would become too dazzling. This leads to the so called problem of "snow blindness", a phase when you only see white around you. The lens of ski goggles needs to be wide so that you can keep an overview of the piste as well as the back country. This especially comes handy when you are speeding down, since a limited view also means a limited safety. A wide elastic band which can be attached to the ski helmet will make the goggles stay in place (keep the width in mind). Ventilations are supposed to prevent googles from fogging up. Generally, the lens is the core part of a ski goggle. It protects the face from rainfall, as well as against ice and snow chunks etc. that whirl around. Furthermore, it well-preserves the eyesight. Every ski goggle must provide you with clear and sharp vision, no matter what the lighting conditions are. There are huge differences! Various types of skiing demand a different form of lenses. For freeriding, for instance on unsupported slopes, usually the rather wide lenses come into use. But the material of the lenses and its special treatment are the core of every ski goggle. Most lenses are reflective. Furthermore, there are ski goggles with or without photochromic effect. Thus, whenever the brightness in a certain spectrum changes, the lenses automatically adapt to the lighting conditions. Like this, the skier does not perceive any changes in his environment caused by the sun or clouds, which further enables him to concentrate on skiing without any distractions.Additionally, a polarization filter is applied to the lenses, which stops the enormously blinding, white rays, which are caused by the reflection of snow, to enter the eyes. The lenses absorb these reflexions. Despite the ventilation on the frame, most lenses are coated more than once in order to prevent them from fogging up. According to the product description, it is crucial to bear in mind for which lighting condition the ski goggle is recommended (in the case of non-photochromic lenses at least)!